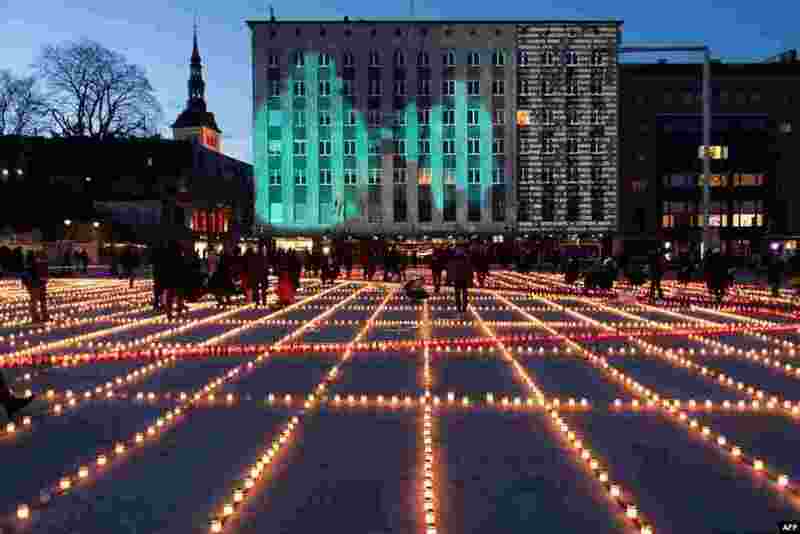 ١ Thousands of candles are lit in Tallinn, Estonia to commemorate the tens of thousands of victims of the deportation march when, from March 25-28, 1949, more than 22,000 people in Estonia alone were forced from their homes and deported east, many to never return. 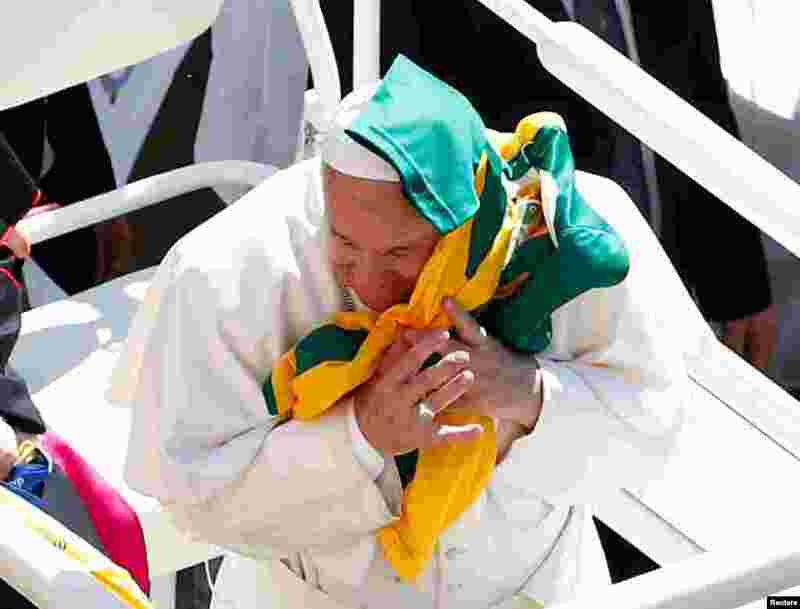 ٢ A yellow and green jersey is thrown to Pope Francis as he waves to the faithful during a visit to the Shrine of Our Lady of Loreto on the feast of the Annunciation, in Loreto, Italy. 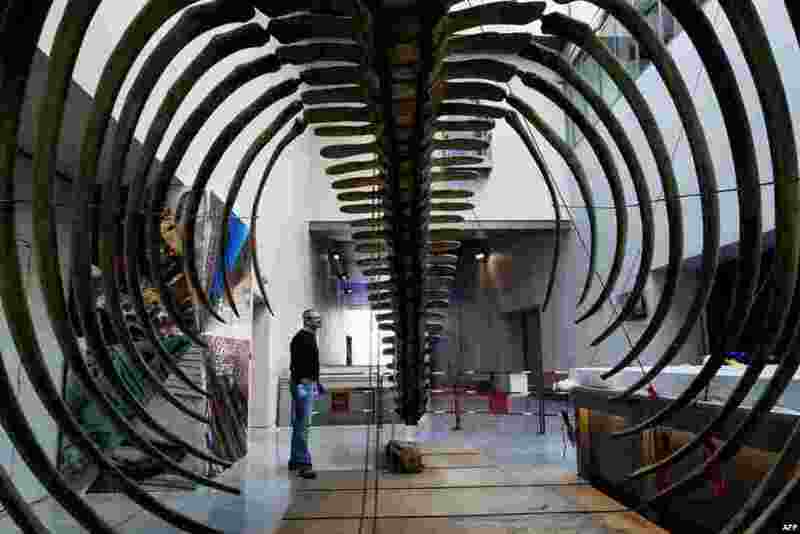 ٣ A Confluences Museum employee checks the last details on the restored skeleton of a whale in Lyon, France, ahead of its exhibition to the public. ٤ French president's wife Brigitte Macron (R) and Chinese president's wife Peng Liyuan wave to the crowd as they visit the Palais Garnier opera house in Paris, France.